Harry Coopersmith, a well-known Jewish educator, served as music director of the Jewish Education Committee of New York during the 1940s and 1950s. 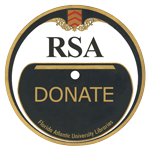 He was responsible for compiling and editing numerous volumes of songs, organizing music clubs in schools, and conducting a city-wide chorus of children. His book, The Songs We Sing, published in 1950, is a much-used reference for authentic Jewish songs. As Diane Ashton reported (Religions of the United States in Practice edited by Colleen McDannell, Princeton University Press, 2001) prior to the 1940s most Jewish children living in New York City received no formal Jewish education. Yet, Jewish culture and music were thriving. Harry Coopersmith saw Jewish songs and holiday tunes as a way to engage Jewish youngsters in the customs and traditions of their religion. These recordings reflect that time in American history when Conservative Jewish educators sought to spiritually bind Jews together through song. 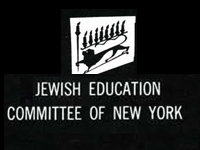 Greater New York, formerly known as the Jewish Education Committee of New York.